Coddle, a potato and meat stew, dates back to the 1700s in Ireland and is linked to the cities rather than the countryside. 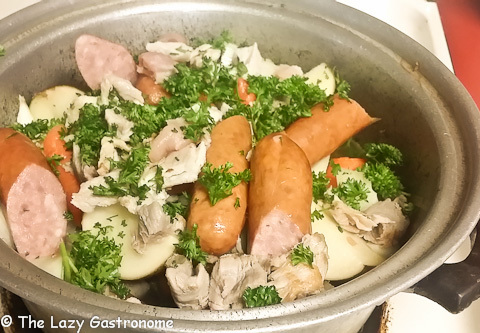 Irish Catholics didn’t eat meat on Fridays, so they would prepare a potato and meat stew on Thursdays to use up the rashers of bacon and sausage that might otherwise spoil. The dish works well being left to stay warm in an oven or on a stove top – great for when the men arrived home late from the pubs! 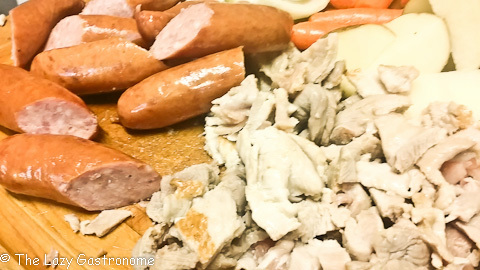 Using just a little bit of broth, deglaze the bottom of the pan – or loosen the pieces of cooked on meat for the gravy. Chop the cooked bacon and slice the sausages (you may opt to leave them whole). 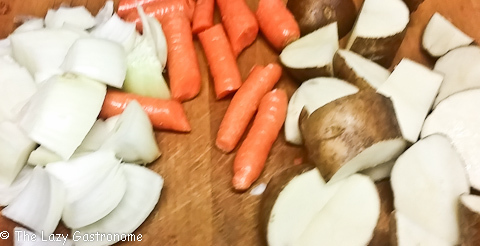 Starting with the potatoes, layer the vegetables and the meat twice (two layers) then pour the broth over it all. 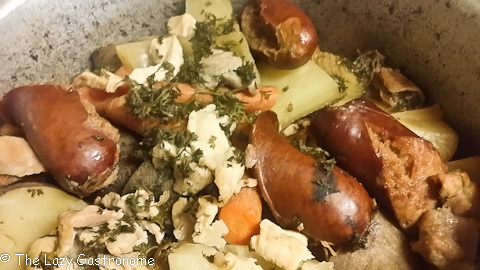 Sprinkle the parsley over the top. 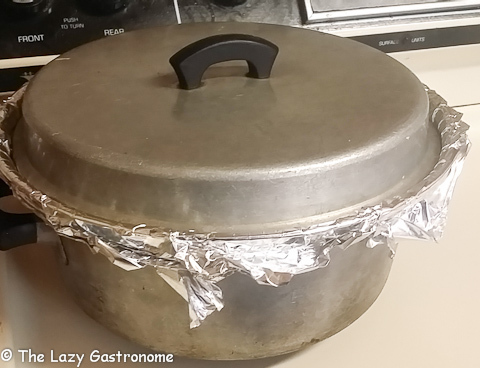 Bring the broth to a boil then cover the pan with foil and then a lid (seals it better with the foil). Place in the oven and cook for about 3 – 4 hours – until everything is tender and the flavor blend. Check it often to make sure there is always at least an inch of liquid in the bottom of the kettle. Goes great with fresh Irish Soda bread (the real one, not the one with raisins!) – Oh, and a Guinness stout beer, of course! 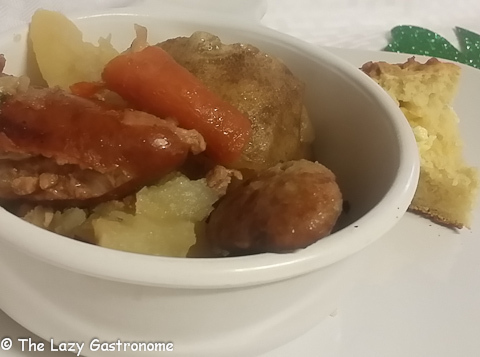 This entry was posted in Holidays, Main dish, pork, St. Patrick's Day, Stew and tagged bacon, irish, potato, sausage, st. patricks., stew. Bookmark the permalink. 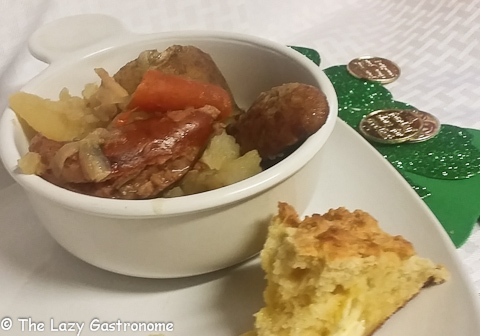 I’ve never heard of an Irish Coddle, it sounds amazing, can’t go wrong with bacon and sausage! Thanks for sharing at What’d You Do This Weekend? !